I couldn’t wait to begin the first sock in Helen Stewart’s Handmade Sock Society subscription: Shell Cottage. 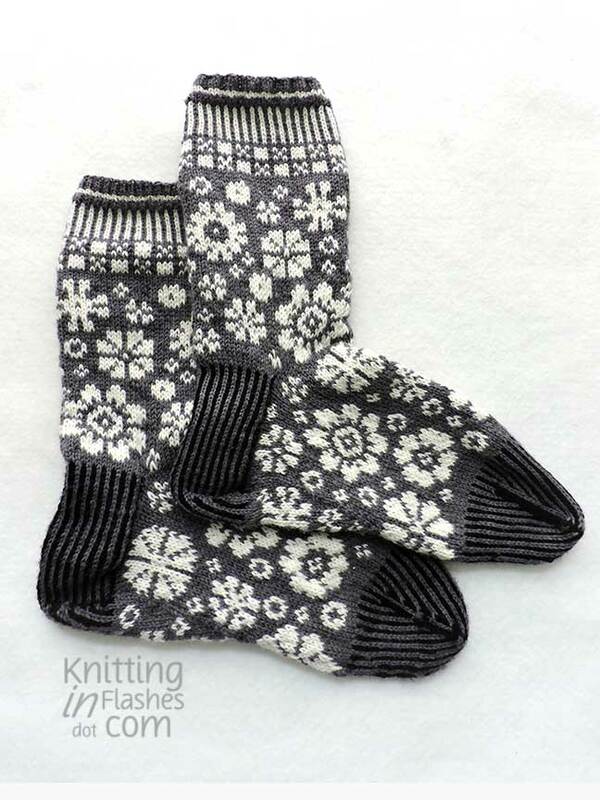 So as soon as I cast off the Bloomin’ sock (and wove in the ends), I cast on these sumptuous socks. The leg of sock #1 is finished. And I’m almost finished with the gusset decreases. 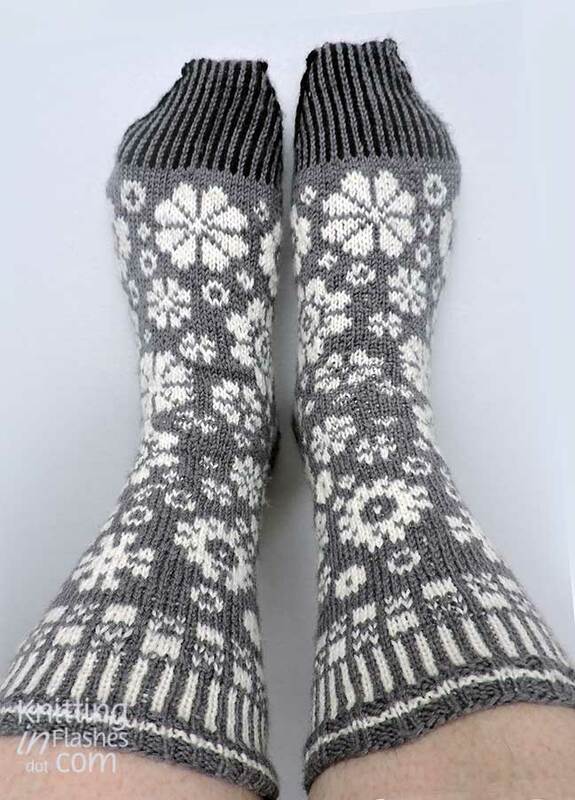 I’m loving this sock and the texture which will keep someone’s foot toasty. 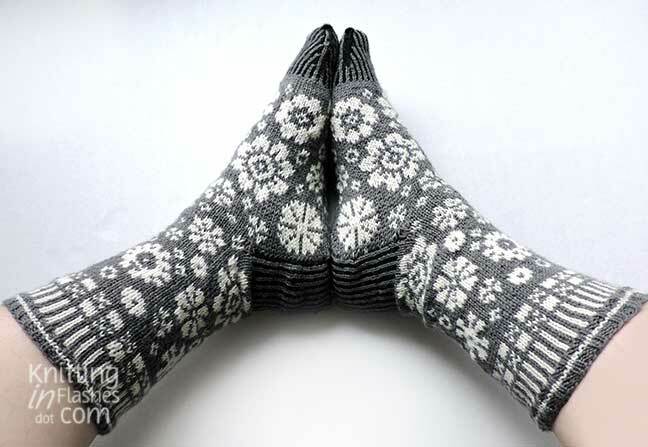 Bloomin’ socks are finished. Even the ends are woven in. 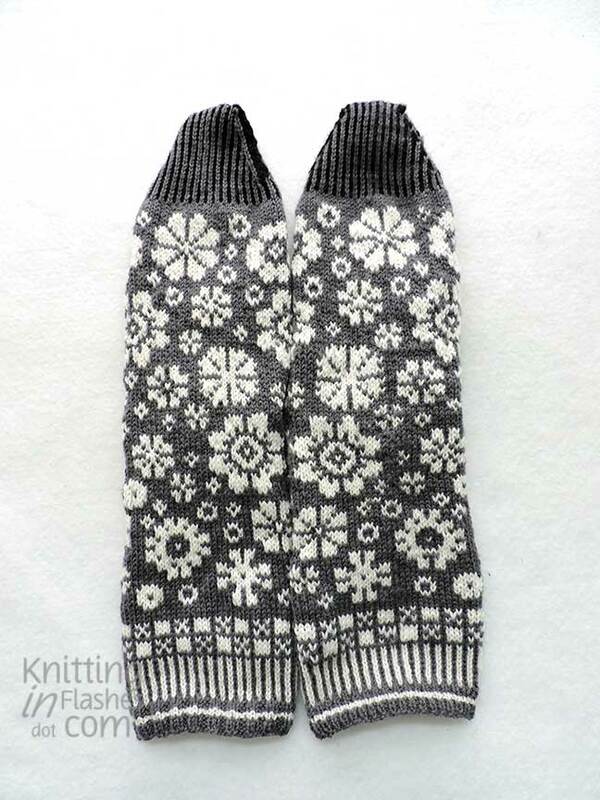 The socks are mirror images on the top. 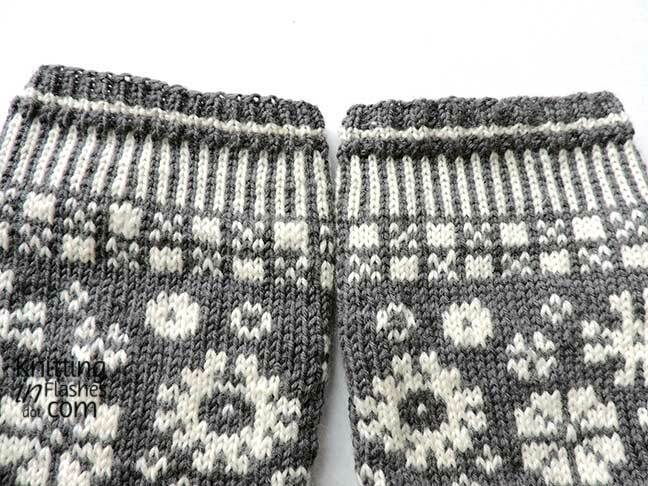 I lengthened the striped toe by six rows before the decreases so the toe tips would be less pointy. They might loosen a bit once I soak them so they aren’t so square. The heel is ok. These are very sturdy but don’t have much give. It’s amazing how I don’t see something until I photograph it. I just realized that I did a k1, p1 rib on one sock top and a k2, p2 rib on the other one. Oops! 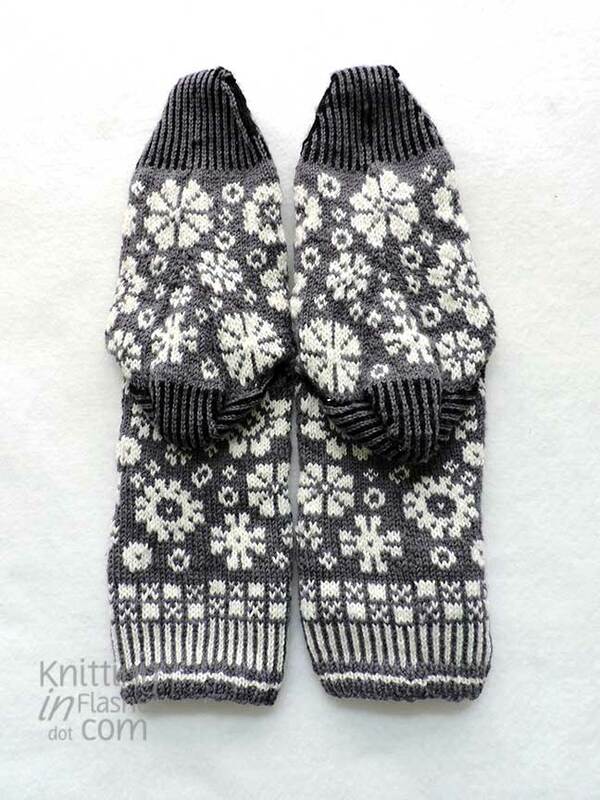 These will be gifted to someone who appreciates handknits and will embrace such imperfections. 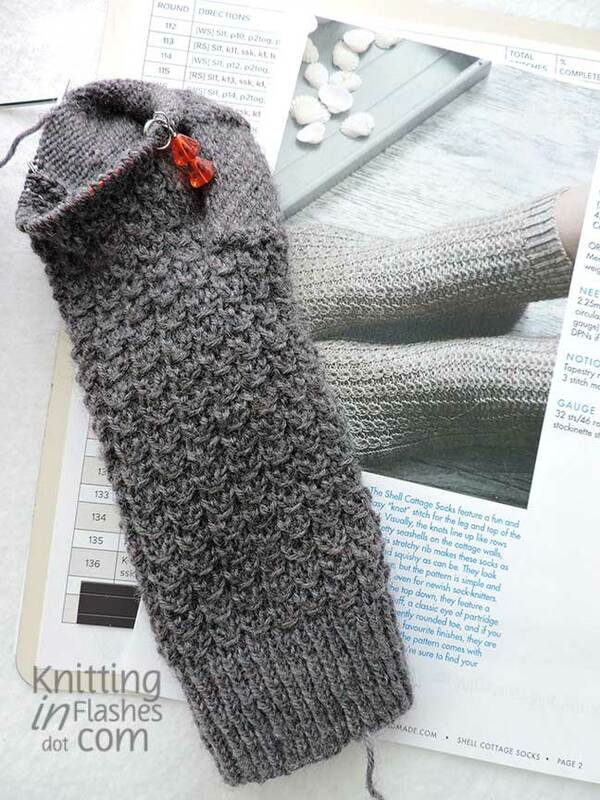 The first sock in Helen Stewart’s Handmade Sock Society is this lovely Shell Cottage sock pattern. 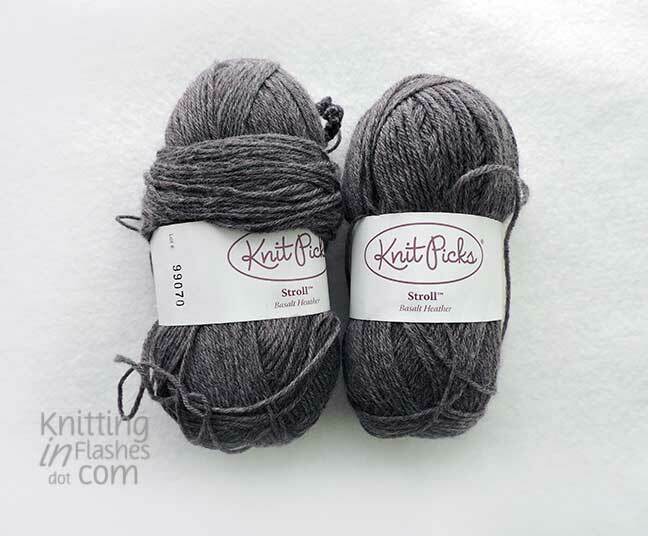 While stash diving, I came up with this lovely heather greyish color called Basalt Heather from Knit Picks Stroll. I’m ready to cast on! Not quite the update I planned. My post was supposed to be about finishing the Bloomin’ Socks but alas I haven’t accomplished that. Yet. 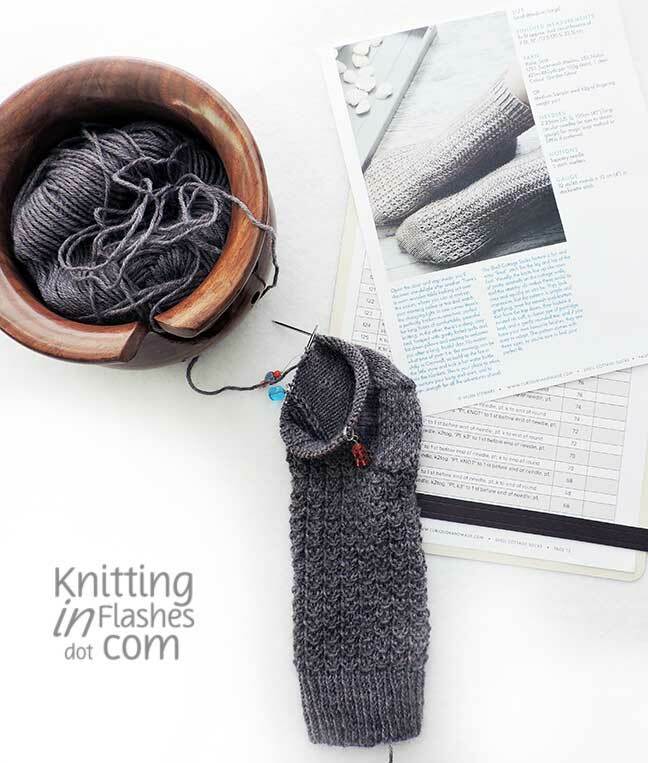 Most of the time I listen to an audiobook when I knit. Right now it’s the Maisie Dobbs series written by Jaqueline Winspear and I love them. (I’m on book #9 – Elegy for Eddie.) 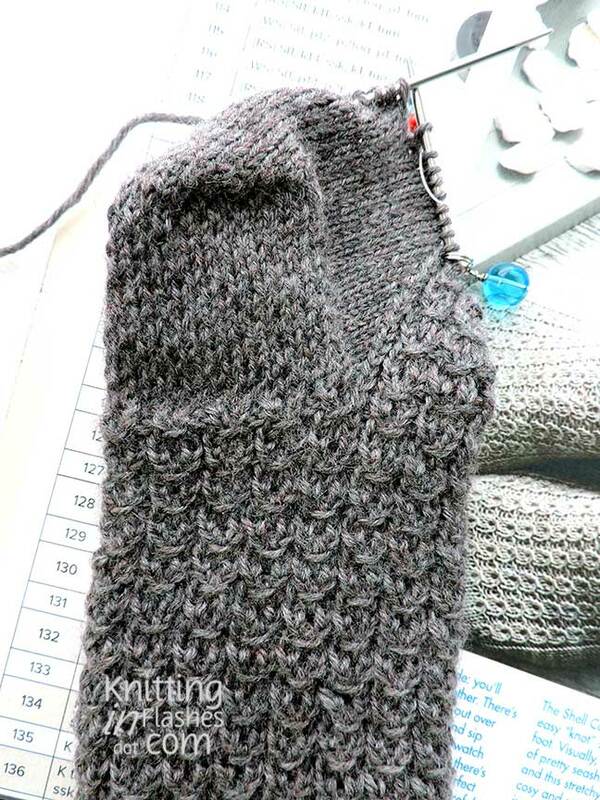 Anyway, I’m knitting the toe of the second sock and I knit one round then decrease one round. Easy. 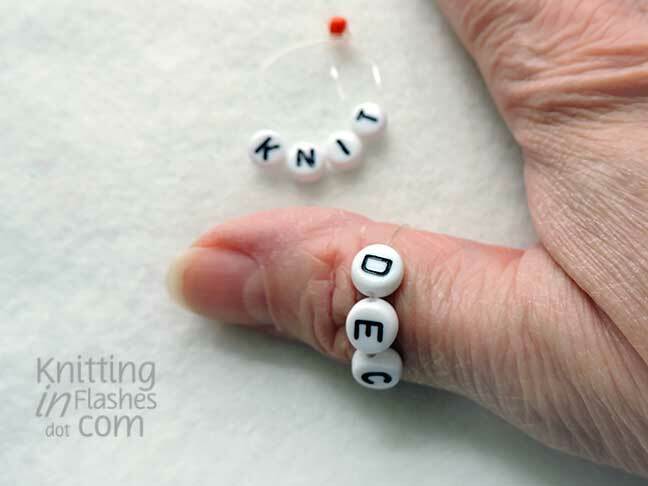 It’s just plain old knitting. Except I get mixed up on whether it’s just knitting or needing to decrease. So I quickly made some “thumb bracelets” to be mindful of which row/round I’m on. Nothing fancy mind you but they work. 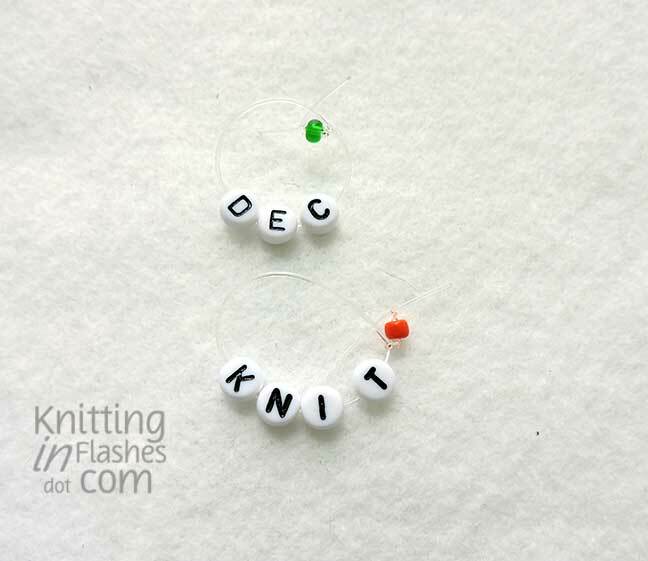 One for the knit round. And one for the decrease round.